O Windows 10 contém muitos aplicativos que são desnecessários, esses aplicativos que vem junto ao sistema é bem complicado de remover ou desinstalar, consome memória desnecessária e exige mais do processador. 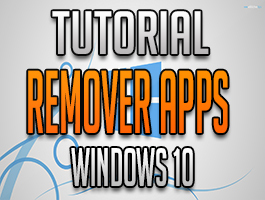 Por isso que neste tutorial vou ensinar a como remover de vez programas e aplicativos do Windows 10. Vamos usar o PowerShell para isso, O PowerShell está disponível nos Windows 8, 8.1 e 10. 1 - Antes de começarmos o tutorial vocês devem CRIAR UM PONTO DE RESTAURAÇÃO NO SISTEMA. 2 - Abram a barra de pesquisa e digite POWERSHELL e execute-o como ADMINISTRADOR. ATENÇÃO: OS COMANDOS QUE SERÃO COLOCADOS, NÃO TEM COMO VOLTAR ATRAS. powershell "Get-AppxPackage *BingFinance* | Remove-AppxPackage"
powershell "Get-AppxPackage *BingNews* | Remove-AppxPackage"
powershell "Get-AppxPackage *BingSports* | Remove-AppxPackage"
powershell "Get-AppxPackage *BingWeather* | Remove-AppxPackage"
powershell "Get-AppxPackage *MicrosoftSolitaireCollection* | Remove-AppxPackage"
powershell "Get-AppxPackage *Office.OneNote* | Remove-AppxPackage"
powershell "Get-AppxPackage *Windows.Photos* | Remove-AppxPackage"
powershell "Get-AppxPackage *WindowsAlarms* | Remove-AppxPackage"
powershell "Get-AppxPackage *WindowsCalculator* | Remove-AppxPackage"
powershell "Get-AppxPackage *windowscommunicationsapps* | Remove-AppxPackage"
powershell "Get-AppxPackage *WindowsMaps* | Remove-AppxPackage"
powershell "Get-AppxPackage *WindowsPhone* | Remove-AppxPackage"
powershell "Get-AppxPackage *WindowsSoundRecorder* | Remove-AppxPackage"
powershell "Get-AppxPackage *ZuneMusic* | Remove-AppxPackage"
powershell "Get-AppxPackage *ZuneVideo* | Remove-AppxPackage"
powershell "Get-AppxPackage *3DBuilder* | Remove-AppxPackage"
Cada linha de comando representa um aplicativo nativo do Windows 10, copie e cole dentro do PowerShell e pressione ENTER, e aguarde a ação ser concluída. ATENÇÃO: FAÇAM ESSE PROCESSO PARA PROGRAMAS E APPS QUE VOCÊS NÃO USE OU NÃO SÃO VIÁVEIS A VOCÊS. 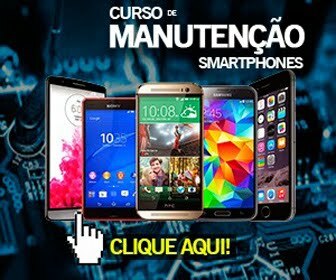 Espero ter ajudado com esse tutorial, qualquer duvida deixe nos comentários.